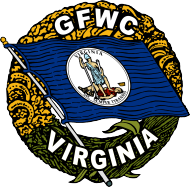 Access to the Members-Only area of the website is restricted to members of The Woman’s Club of Williamsburg-GFWC. If you are a member, register here to access the restricted area of the website. After you register and your membership has been verified, you will be able to log in and access the Members-Only section via the MEMBERS-ONLY tab at the top right of the page.